I’ve been lucky to try Moisture Serum by Organics at Home*, suitable for oily skin, which was kindly sent to me by Jo, the owner. A sample bottle of 10ml lasted me well over a month although I was using it twice a day most of the time, but this is because only a few drops are needed for each application. This review is well overdue as other things cropped up but I finally managed to find time to write about this special natural skincare brand. If you are looking for a natural skincare brand with the top quality products which are free of petrochemicals, parabens and other nasties, then you should definitely consider Organics at Home. Jo, the founder is a wild plant lover who was struggling to find a good quality organic products in the past and therefore she launched her own hand blended range of organic skincare for face, body, nails, bath, mum and baby. To empower people with knowledge and open peoples’ minds about the wonderful benefits of natural ingredients and the dangers of synthetic additives found in so many products nowadays. We want to offer a better lifestyle to our customers and our consultants to empower them to live a healthier and more fruitful life. Their products are hand blended at their premises and the ingredients they use are ethically sourced, organic (whenever possible) and local wherever possible from reliable and trusted growers. They use cold pressed oils and never oils extracted with chemical methods. They follow strict quality guidelines which you can find here. All their products are suitable for vegans as they don’t use any animal products in them. Also, their skincare has not been tested on animals. What I also love about Organics at Home is that they really care about the environment and they do whatever they can to protect the earth and its resources. They use recycled materials including papers, bottles, jars, refillable containers and packing materials and always favour packaging that’s easily recyclable. They don’t use plastics which could leach chemicals into the contents. As mentioned above I’ve tried Moisture Serum suitable for oily skin/large pores but in their range, they also have oil serums suitable for normal skin, dry/mature skin and sensitive skin so you are sure to find something for yourself. I have a combination skin which is prone to breakouts and occasionally I get some dry patches, mostly around my mouth. So how did the serum work for my skin type? I can say that it’s definitely well suited for combination skin. I was actually using it around Christmas time, the time when I overindulged a bit (like everybody else :-)) and the time when I had to do some travelling which can be a bit stressful. Just to mention that normally my skin responds to what I eat and if I eat too much sugar, this will give me dry skin and having too many fattening foods would result in breakouts. Stress can also be a cause of problematic skin for me. The oils in the serum which help to balance the skin, control the sebum and prevent/fight acne are evening primrose oil, essential oil of grapefruit and essential oil of chamomile (calms the skin down) while thistle and rosehip oils help to reduce the size of the pores. What I love about this moisture serum is that it does not only help you rebalance your skin, but it’s also great for fighting wrinkles with its organic kiwi oil which is high in omega 3 and organic rosehip oil known for reducing fine lines. The serum is non-greasy and leaves the skin feeling nice and soft. I could definitely feel the softness of the skin in the morning! The scent is very pleasant and mild and I could smell chamomille and possibly grapefruit. When applying a few drops, the best is to apply serum immediately after you’ve applied your favourite toner (hopefully all natural!) as this is when skin is still a bit damp and the serum will be easier to spread across your face. To get a true picture of the full benefit of using it you should use it for at least a month or so to give your skin a chance to adjust and rebalance. The serum seemed to have worked fine for my skin type although I am not sure my pores were any smaller but I think this is genetics and some things you just cannot change with creams and serums. It’s worth mentioning that my pores are not extremely large, only slightly enlarged but I can live with that. 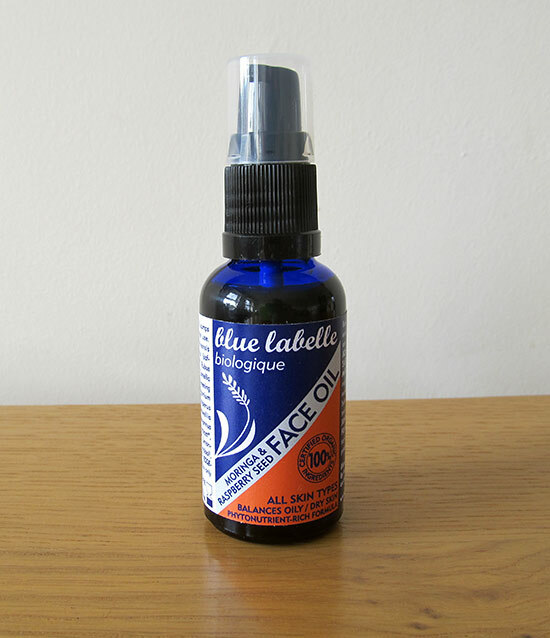 A full-size Moisture Serum is sold in 50ml glass bottles with a pipette and costs £21.00. The bottle could last you up to a year, depending on how often you use it. I think the price is quite reasonable considering all the ingredients and the quality of the product although I need to mention that it’s not certified by the Soil Association or a similar body. Organics at Home have some other natural products worth considering too such as toners, cleansers, moisturizers and even lip balms. If you want to try many different products without buying full-size versions you have an option of buying their Try Me Kit for £23.00 which includes 6 sample products for your chosen skin type. What also caught my attention while browsing their products is their Eye Serum which I will consider purchasing in the future after I finish my current eye oil. Have you heard of Organics at Home before and have you used any of their products? What did you think about them? *PR sample. My honest opinions provided. I’ve never heard of this brand before; but this looks like a great product- thanks for sharing! It’s definitely a good product and worth trying. Yes, it’s a great product, worth trying. I am currently looking at a couple of eye serums/oils and haven’t decided which one to go for next but the one from Organics at Home is a really strong contender. I like the ingredients and if/when I try it I will definitely write about it on the blog.